Texas Ranger Emmett Strong rode out looking for his brother's murderer. He found a whole lot more than he bargained for--a deadly new enemy quick to use wealth and power to snuff out the likes of Emmett...and a girl who, some say, should have remained off-limits. Strong Convictions: An Emmett Strong Western was the Westerns category winner of the 2015 National Indie Excellence Awards. Publishers Weekly says, "Hutchinson spins a lively tale" with "enough Western action to satisfy fans." 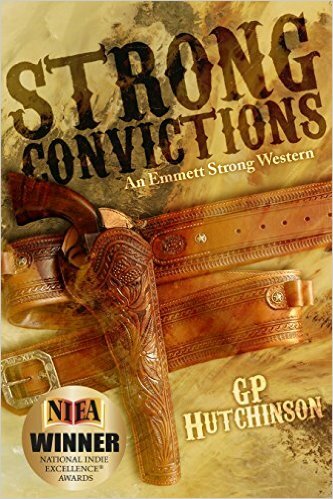 Strong Convictions is an authentic, yet unpredictable story of the Old West. A quick read with a cinematic feel, crisp action, and lots of suspense.